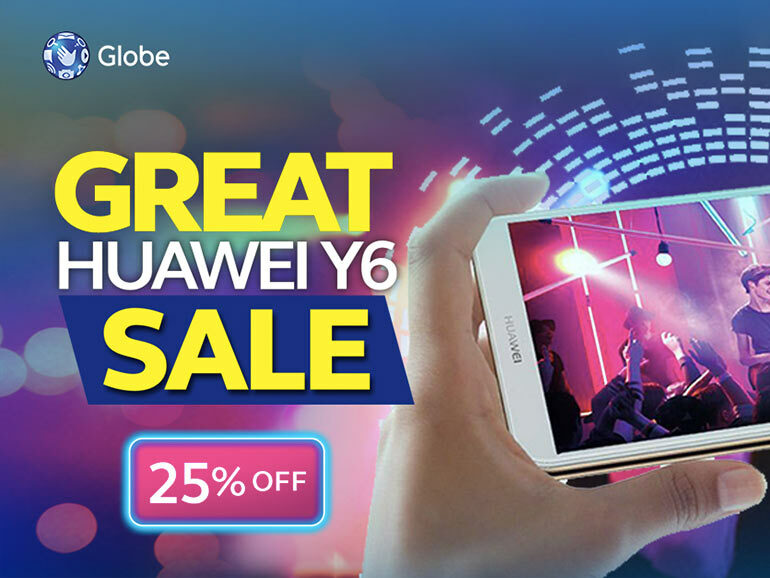 Globe is now offering the Huawei Y6 with 25% off the regular price this August. Comes with 300MB open access data and more. 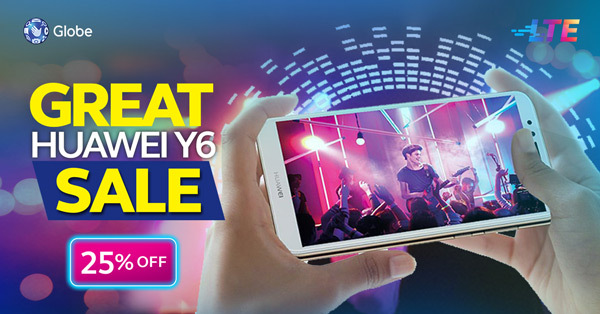 With the 25% discount, the Huawei Y6 will be priced at PHP4,490 — that’s PHP1,500 off of its regular price of PHP5,990. The promo is only available at the Globe Online Shop until August 30, 2018. Aside from the discount, the phone will also come with free 300MB data open access data, and another 300MB for YouTube, HOOQ, and Viu for 15 days. Data will be credited upon download and activation of the Globe SWITCH app. Plus, an additional 300MB data per month for a whole year will also be given to those who reach a monthly load of PHP150. For those unaware, the Huawei Y6 2018 features a 5.7-inch HD S-IPS display, a Qualcomm Snapdragon 425 processor, 2GB RAM, and 16GB of expandable storage. It is equipped with a 13MP rear camera and a 5MP front shooter. Both have LED flashes. The phone does not come with a fingerprint scanner, but it does have Face Unlock to compensate. As for the rest of the specs, the phone also comes with an FM radio, a 3,000 mAh battery, and EMUI 8.0 based on Android 8.0 Oreo, right out of the box. The Huawei Y6 2018 is now available in the Philippines with a suggested retail price of PHP5,990 (around USD116).